Last month Pilot went to outer space. Well, not exactly, but one of our shipments did! You may have heard about Alan Eustace, the Google executive that recently broke the sound barrier, as well as breaking many free falling records. As part of a project by Paragon Space Development Corp. and its Stratospheric Explorer (StratEx) team, Eustace took a helium-filled scientific balloon 135,000 feet above southern New Mexico before free falling for approximately 4.5 minutes, landing nearly 70 miles from his launch point. With this project, Eustace and his team hoped to design a system that would allow humans to explore the stratosphere as easily and safely as they do the ocean. 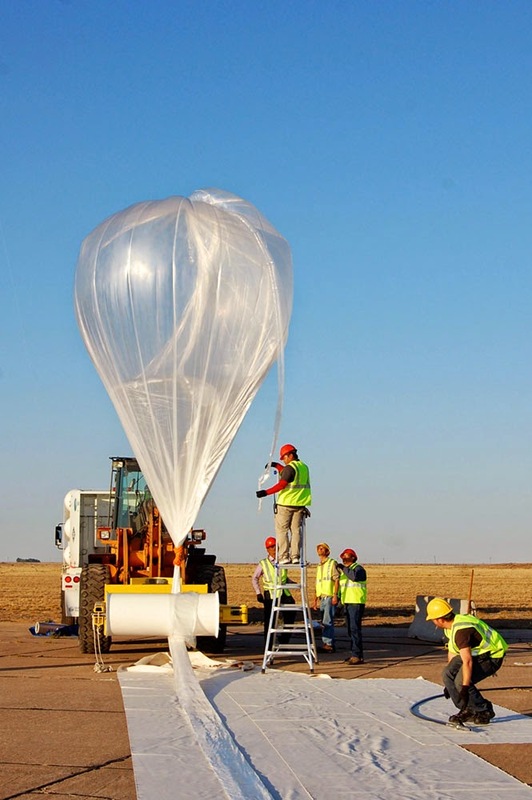 Understanding the groundbreaking implications of this experiment, Pilot Freight Services District Manager Gustavo Ceballos and his team imported the balloon from where it was developed in India, all the way to Phoenix, AZ for the first leg of its shipment. Then, Pilot continued the delivery to its final destination in Rosewell, NM, where it arrived safely. From there, knowing that the balloon had been kept safe in transport, the Pilot team eagerly anticipated Eustace’s mission. Eustace’s success is something Pilot is incredibly proud to have been a part of and interacting with him and his team was a once-in-a-lifetime opportunity. Transporting fragile, critical cargo is something we do every day at Pilot. Whether it’s medical equipment, a big screen TV, or a scientific helium-filled balloon, we believe that our attention to detail, professionalism, and excellence in customer care has prepared us to tackle any challenge. The success of Eustace’s stratospheric mission has opened the door for future human endeavors and explorations of the earth’s stratosphere, and we at Pilot couldn’t be more proud and honored to have played such a crucial role in this accomplishment. A video of Alan Eustace’s mission can be found here. Pilot CEO takes on the ALS Ice Bucket ChallengeHola Mexico City, Hello Vancouver!